[2009 Dec] BIG PHARMA’S CRIME SPREE Pfizer, Eli Lilly & Co., Bristol-Myers Squibb Co. and four other drug companies have paid a total of $7 billion in fines and penalties. Six of the companies admitted in court that they marketed medicines for unapproved uses." [2009 Oct] Is Eli Lilly Milking Cancer by Promoting and Treating It? by Jeffrey Smith Would it be too crass to point out the obvious conflict-of-the-public's-interest that Eli Lilly also markets cancer drugs? In fact their drug Evista, which might help reduce the risk of breast cancer, may lower IGF-1 (according to one small study). So on the one hand, Eli Lilly pushes a milk drug that might increase cancer, and on the other, it comes to the rescue with drugs to treat or "prevent" cancer. Call it the perfect cancer profit cycle. January 15, 2009 - Eli Lilly fined nearly $1.5B in drug marketing case - U.S. drug maker allowed 'off-label' marketing for anti-psychotic drug; to pay largest criminal fine for a corporation. - CNNMoney - "The sum includes a criminal fine of $515 million, which the Justice Department called 'largest criminal fine for an individual corporation ever imposed in a United States criminal prosecution.'" Trivia Question: Who produced LSD for the CIA and MK-ULTRA in 1954? "Sidney Taurel of Indiana is the Chairman, President & CEO of Eli Lilly & Company. He joined the Lilly subsidiary Eli Lilly International Corporation in 1971, and has held various positions in Brazil, France, Eastern Europe and London. 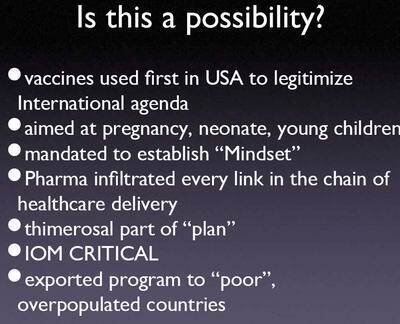 In 1986 he became president of Eli Lilly International Corporation and then executive vice-president of the pharmaceutical division in 1991"
Plus, President Bush's Budget Director is Mitchell Daniels...a former top executive with Eli Lilly. and then gave me a copy of the Eli Lilly letter. as labeling my views "Neo-Scientology." controversial religious group that frequently criticizes psychiatry. general, and specifically against Scientology. drug companies. that is why I can write these books." my voice to be heard. to Prozac and The War Against Children. the company will go to protect its profits at the expense of patients. Why Would Lilly Do It? truly American way--through open discussion and debate. lets look a something a bit more recent shall we? appreciation for Dr. Breggin's testimony. post-conviction hearings they reduced the sentences of the two men. results can be devastating to the patient. considerable expertise in this arena. more limited 21-year sentence with actual release in 19 years. was trying to protect her. Fortunately, the victims recovered. for involuntary intoxication. He also expressed appreciation for Dr.
the peer-review journal, Ethical Human Sciences and Services . 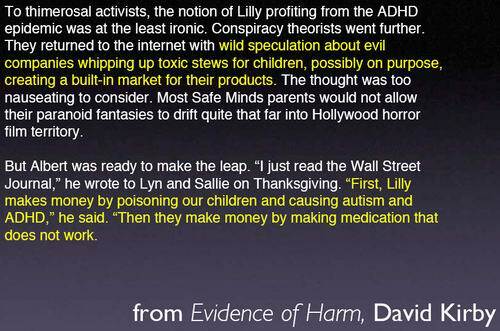 more recent Ritalin class action suits. 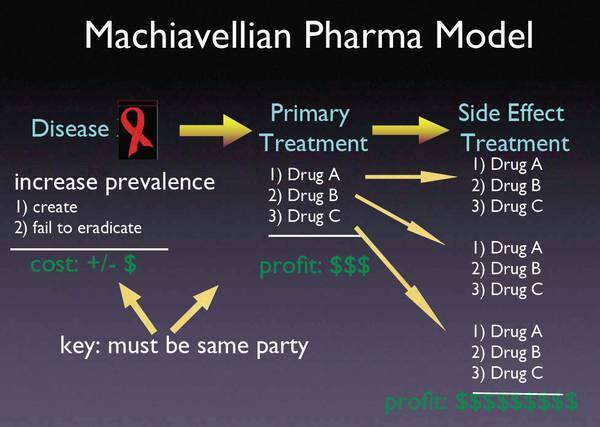 if not eliminated by pharmacological intervention." 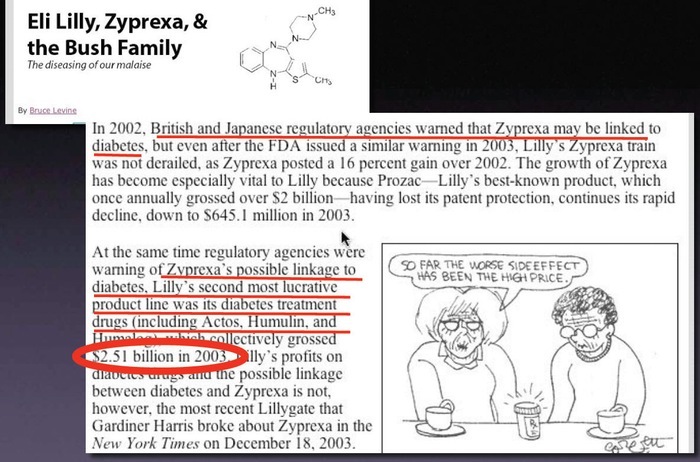 There is one Eli Lilly piece of history so bizarre that if told to many psychiatrists, one just might get diagnosed as paranoid schizophrenic and medicated with Zyrprexa. http://tinyurl.com/nkha6 Where did the CIA get its LSD? Eli Lilly.